Torq-Thrust II American Racing Wheel. 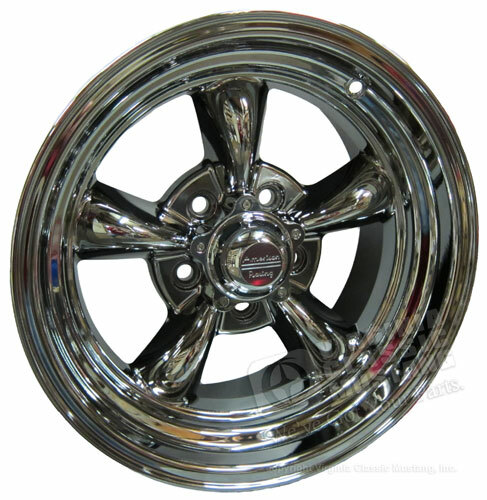 Fully polished aluminum wheel. These are now one piece design wheels. New, durable PVD - Physical Vapor Depostion - coating. This coating combines the durability of paint with the look of chrome. 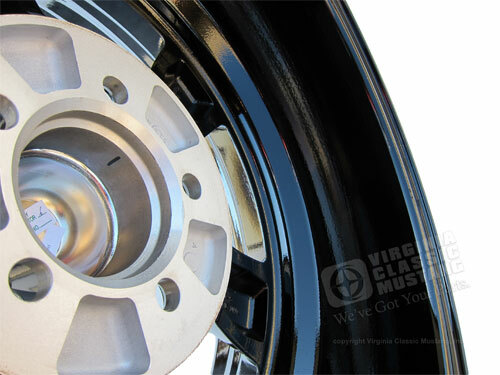 It is a metallic coating that is more resistant to brake dust and corrosion. Polished American Racing center included. 14 x 7 size with 4 inch backspace.